Designed to help improve the handwriting of people with arthritis, parkinson’s or other hand limitations. 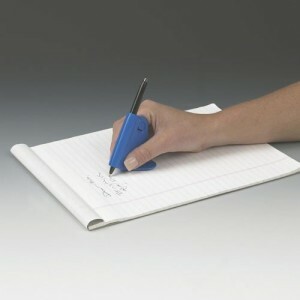 Triangular base balances and guides the hand as you write to smooth out shaky penmanship. Black ink. Refills can be purchased separately.